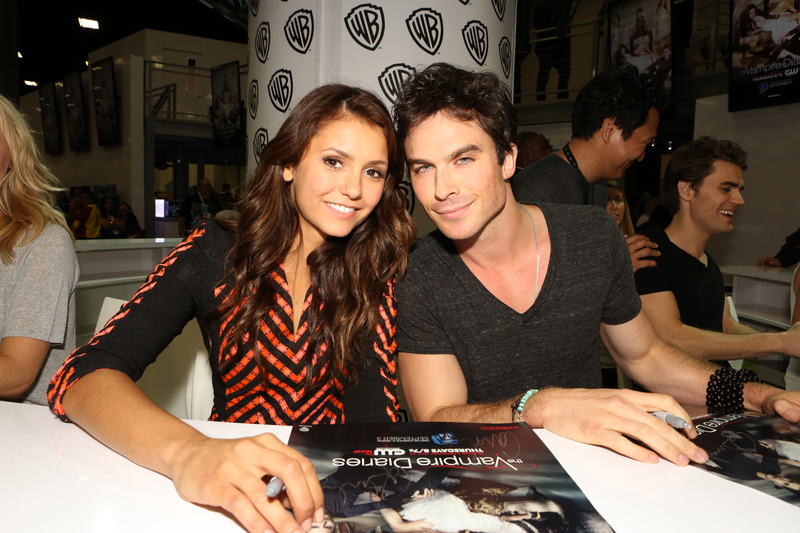 Nina Dobrev & Ian Somerhalder Are the People's Choice Awards' Favorite TV Duo — Do We Even Need To Explain Why? This year's race for the title of Favorite TV Duo at the People's Choice Awards had all the makings of a neck-and-neck race for some of our favorite pairs. From the beginning, though, there was always going to be one clear winner from the group, and this year that honor was bestowed upon Nina Dobrev & Ian Somerhalder for The Vampire Diaries. And yes, this means they even beat out the Winchester brothers, but we've all got to get used to disappointment at one time or another. This feels like the 15 billionth time Nina and Ian have taken home the top award for best duo, or cutest couple, or best kiss, or best on-screen chemistry, and the list goes on and on (they must have a ton of Teen Choice Awards surfboards by now, all tucked away in a closet). But considering that television season after television season, their characters are are still one of the hottest couples around, it only seems fitting for them to win all of the awards. But can we just talk about the elephant in the room when it comes to Nina and Ian for a second? Considering they were once the hottest couple off-screen, too, do you think they ever get a little weirded out by the fact that they are still being bestowed the honor of Favorite TV Duo? Major props to them for maintaining a professional relationship, but still. If I had broken up with my boyfriend and then we were voted Best Couple for the next 17 years, I'd be a little freaked out. Then again, I don't have a hugely successful television show that has already spanned its own spinoff. Sadly, this award was not presented during the telecast of the People's Choice Awards, but I imagine the two of them would have taken the stage, Nina looking absolutely stunning, and Ian looking handsome as ever with the most beautiful blue eyes. The Vampire Diaries crew loves to send fans their love, so maybe we'll see a little thank-you in the upcoming days? We can only hope.